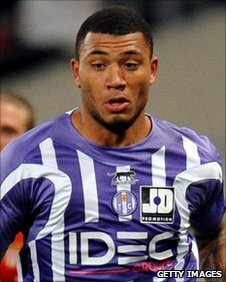 England-born striker Colin Kazim-Richards has joined Galatasaray after being released by their fierce Istanbul rivals Fenerbahce. The 24-year-old has signed a three-and-a-half-year contract with the Gheorge Hagi-managed outfit. Turkey international Kazim-Richards moved to Fenerbahce from Sheffield United in 2007. However, he was deemed surplus to requirements in the second half of last season and was loaned out to Toulouse. His contract was terminated by Fener on Tuesday night, and Galatasaray wasted no time in securing his services. Kazim-Richards is a rarity among English homegrown players - the likes of Robbie Fowler (at Perth Glory) and Matt Derbyshire (with Olympiakos but now on loan at Birmingham) among their ranks - who have plied their trade abroad in recent years. London native Kazim-Richards has also played for Bury and Brighton, and is eligible to play for Turkey through his Turkish Cypriot mother.